This summer, Virginia Moyer, MD, MPH, ABP's Vice President for Maintenance of Certification (MOC) and Quality, wrote an article published in Contemporary Pediatrics. The article addresses some of the myths regarding MOC, what the process entails, why the program is important and what it helps to accomplish. David G. Nichols, MD, MBA, American Board of Pediatrics President and Chief Executive Officer, has been selected as the 2015 recipient of the Shubin-Weil Master Clinician/Teacher: Excellence in Bedside Teaching Award, presented annually by the Society of Critical Care Medicine (SCCM). The American Board of Pediatrics (ABP) has redesigned its website. The new design launched Oct. 14 at www.abp.org. In response to feedback from users, the site has been specifically designed to meet the needs of pediatricians, program directors, residents, fellows, parents and caregivers. Virginia Moyer, MD, MPH, ABP's Vice President for Maintenance of Certification and Quality, co-authored an article published in Journal of the American Medical Association. Dr. Moyer also serves as the chair of the US Preventive Services Task Force. Moyer, along with Coleen A. Boyle, PhD and James M. Perrin, MD, focused on the use of clinical preventative services (CPS's). As the authors state, these services rendered throughout the stages of a child's life, could ultimately lead to improved outcomes. Unfortunately, millions of children may not be benefitting from these services. The American Board of Pediatrics (ABP) is one of six organizations partnered with Data Commons, LLC to streamline access to data about health professionals. On July 28, 2014, Data Commons launches two services, including Verification Service and Verification+ (Plus) Services. Find out what these two services provide. The American Board of internal Medicine (ABIM) and the American Board of Pediatrics (ABP) are pleased to provide updated information on ABIM's new area of certification: Adult Congenital Heart Disease (ACHD), which is designed to recognize the qualifications of physicians who are specialists in the care of a wide range of adult patients with congenital heart disease. Nashville, TN -- The American Board of Pediatrics (ABP) is proud to announce that James A. Stockman III, MD, was recently honored with a Special Award for Outstanding Lifetime Contributions to Pediatric Medical Education and the Development of Pediatricians. Dr. Stockman was presented with the special award by the Association of Pediatric Program Directors (APPD) on April 11, 2013 in Nashville, TN. 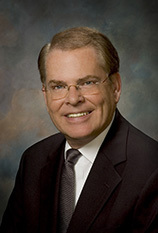 He served as one of the APPD's first presidents, providing instrumental leadership when the organization was in its early years of development. The impact of his dedication and leadership in the pediatric medical education community spans more than 40 years. CHAPEL HILL, NC - American Board of Pediatrics (ABP) past President and CEO James A. Stockman III, who has been a driving force in pediatrics for a generation, will be honored in October 2014 at the American Academy of Pediatrics (AAP) National Conference and Exhibition (NCE) in San Diego, Calif.
Do you know a colleague with outstanding accomplishments in Quality Improvement? Nominations for the 2014 Paul V. Miles Fellowship in Quality Improvement are now being accepted. This award was created to honor the passion for improving health care for children that Dr. Paul V. Miles exhibited throughout his career, including his years of service with the ABP. The American Board of Pediatrics (ABP) has named Ramona DuBose as Director of Communications. DuBose will be responsible for developing the ABP's communications strategy. She will direct activities and services including Web content, online and print materials, media and public relations, executive communications and social media efforts.